The Tehrik-e-Taliban Pakistan (TTP) or Pakistani Taliban’s strength lies in its evasiveness and its permeation across society. Through ratcheting up attacks on security personnel and common citizens inside Pakistan, they have largely dispelled the notion that were losing vitality in operations after the killing of their leader Hakimullah Mehsud in a November 2013 US drone strike. Indeed, they have grown more predatory and relentless since the elimination of their erstwhile leader. The TTP after the death of Hakimullah, nominated a more unruly leader named Mullah Fazalullah who is a known hardliner even by TTP’s standards. He is a diehard opponent of the state of Pakistan and particularly the armed forces. With Mullah Fazalullah as head, any chances of negotiations had seemed bleak since both the security forces and Taliban in Swat – Fazalullah controls the Pakistani Taliban in Swat in Khyber Pakhtunkhwa (KPK) province – had bitter memories of a past accord signed in 2007. Both sides blamed each other for violating the terms of the agreement, which rolled back Taliban rule in the picturesque valley in 2009. Nevertheless, negotiations did kick off in February between the TTP and the government. With Fazalullah in the background – likely hiding in the adjacent mountains of Afghanistan’s Kunar or Nuristan province – spokesmen came forward and engaged a delegation from Islamabad. Ironically, the violence and bloodshed also continues unabated, sometimes leading to criticism from the government, at others provoking a reaction from the TTP over the brutality committed by the security forces of Pakistan against detained comrades. Formed in 2007 as an umbrella of different militant groups that coalesced against the military operations in tribal areas straddling the Afghan border and KPK province, and in reaction to the military operation against the religious seminary named Lal Masjid (The Red Mosque) in July that year, the TTP has emerged as the most potent internal security challenge to the state of Pakistan. According to well-placed estimates, the outfit has been involved in the killing of 49,000 citizens, including civilians as well as personnel from the armed forces, police and paramilitary services. The economic cost of terrorism unleashed by TTP runs into billions of dollars. The signature tactic of this fearsome organization has been suicide attacks which result in enormous casualties, along with targeted killings and roadside bombings using improvised explosive devices. The outfit was formed in South Waziristan agency of FATA (the Federally Administered Tribal Areas). The core of its fighting force came from the Mehsud tribe of Pakhtoons. The first head of the TTP, Baitullah Mehsud, hailed from the same clan. A majority of clan members were already battle hardened when they crossed over to Afghanistan during the 2001 invasion by foreign forces. While American firepower overwhelmed the Taliban resistance, Pakistani tribal militants came back to their homes, despondent and dejected but nevertheless imbued with a spirit to regroup and fight another day. The continued American and NATO presence in Afghanistan and the u-turn taken by the Pakistan government in aiding the American global “war on terror” effort exacerbated the situation. These militants, taking advantage of FATA’s porous and unguarded border with Afghanistan to the west, started to flex their muscles. Equipped with ammunition and other military hardware, they started attacking institutions of the state and influential figures who sided with the government. A complete breakdown of law and order ensued in the FATA region, with killings of tribal maliks (village chiefs), security forces personnel and common people who dared to oppose Taliban ideology. Subsequently, the Pakistani Taliban were able to establish de facto rule in parts of FATA, convening Islamic courts and meting out punishment to wrongdoers. Emboldened by their exploits, the militants merged factions and formed the TTP under Baitullah. Under his leadership, the TTP widened its area of operations and unleashed a wave of terror and violence unlike anything seen in the country. According to a UN report, 80% of the suicide and terror attacks inside Pakistan from 2007-2009 were traced back to Baitullah Mehsud, including the assassination of former prime minister Benazir Bhutto, the Marriott Hotel bombing in Islamabad and terrorist attack on a police academy in Lahore, the capitol of Punjab province. 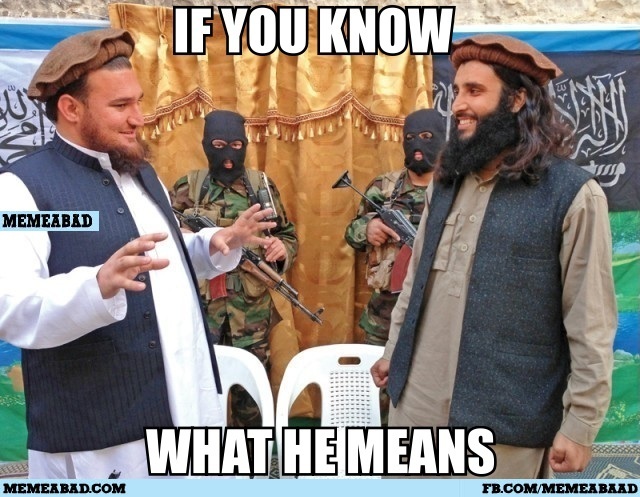 After the killing of Baitullah in a drone strike in August 2009, his deputy Hakimullah Mehsud assumed the leadership. Under him, the TTP proved even more lethal in targeting police stations, crowded markets, sensitive installations and security and intelligence agencies. The most significant and sophisticated attack was carried out on the Mehran naval base in Karachi, in which nine people of the Pakistan navy were killed along with the destruction of two P-3C Orion maritime surveillance aircraft each worth US$35 million. In another high profile killing on September 15, 2013, the TTP killed Major General Sanaullah Niazi, who ran military operations in Swat. His military jeep was hit in the upper Dir district in KPK province adjacent to the Nuristan province of Afghanistan, by a roadside bomb. Hakimullah also proved to be more politically savvy than his predecessor, targeting minority Shi’ites in a bid to polarize society. Targeted killings of notable Shi’ites as well as Sunni scholars who disagreed with TTP’s world view not only drove a wedge between the two sects inhabiting Pakistan, but also eliminated those Sunni scholars who dared to differ from the TTP ideologically. During the May 2013 elections, the TTP deliberately targeted candidates of the Pakistan People’s Party (PPP) and Awami National Party (ANP) in KPK. Other parties like the Pakistan Muslim League (PML-N) and Pakistan Tehrik-i-Insaf (PTI) were allowed to campaign with their candidates able to convene meetings and address large gatherings to muster support. The PML-N took in power in the region’s center while in KPK, the PTI clinched victory. Both these parties are supportive of a dialogue with the TTP as opposed to military operations – something which was vehemently supported by both the PPP and ANP. Besides Pakistan, Hakimullah extended his activities across the border into Afghanistan. He coordinated a suicide attack on a spy base in eastern Afghanistan in 2009 that killed seven American CIA employees. The CIA relentlessly pursued him and after two unsuccessful attempts on his life in 2010 and again in 2012, finally got him in November 2013 in a drone strike. For the CIA, his killing was a payback in kind. After the rise of Mullah Fazalullah as a successor to Hakimullah Mehsud, the incidents of terrorism have increased manifold. On a parallel track, negotiations are also continuing. This makes a mockery of the whole process of bringing TTP to the negotiating table, since the foremost prerequisite of dialogue should be a ceasefire from both sides. According to the security forces, the militants are using the talks to gain breathing space to recuperate, break out from near strangulation in North Waziristan and launch more violent operations across the country. Indeed when the negotiations had just started in February, the TTP displayed its ruthlessness by executing 23 security personnel abducted in June 2010. The TTP was quick to explain that this was in reaction to the Pakistan intelligence agency killing some of its members in custody. After a few days, the Pakistan Air Force bombarded the hideouts of militants in the North Waziristan claiming to have killed many foreign and local militants. Such distrust between the TTP and security forces will be the biggest hurdle in negotiations. More alarmingly, the TTP has been able to cultivate sympathizers within Pakistani society. For instance on January 19, 2014, a bomb ripped through the military convoy in the restive Bannu district of KPK, killing 26 soldiers and injuring 24 others. The bomb was planted onto the civilian vehicles that were commandeered by the paramilitary forces. The manner in which the attack was carried out suggests inside involvement. Similarly on January 20 this year, a suicide bomber again struck in Royal Artillery Bazar in Rawalpindi garrison area, just a stone’s throw away from the General Headquarters of Pakistan military. At least 13 people were killed and more than two dozen injured. The TTP claimed responsibility for the attack stating that the relatives of the infamous Red Mosque victims – now members of “Gazi Force” within the TTP – carried out the attack. Intelligence reports after the Royal Artillery Bazar suicide attack also suggested the involvement and support of local sympathizers residing in the area. Interior Minister Nisar Ali Khan was recently enraged at a report prepared by his ministry which found that Islamabad was the country’s most dangerous place, due to presence of “sleeper cells” belonging to groups such as al-Qaeda and the TTP. The minister instead described the city as actually the Pakistan’s most secure. Within hours of his claim, the city district court complex in the heart of Islamabad was attacked by a little known new splinter group of the TTP, the Ahrar-ul-Hind (Liberators of India). More than 10 people lost their life in the assault by armed suicide bombers. The court is located in a sensitive area near to the Air Force and Naval Headquarters and National Defense University. The Supreme Court of Pakistan has since expressed concerns that the court attack also seemed to be an inside job, suggesting a possible nexus between insiders in the court and the terrorists. As the attacks rumble on, the Pakistan military remains on operational alert to strike the terrorist’s stronghold of North Waziristan. Dawn newspaper on February 2, 2014, quoted Brigadier Mehmood Shah, the former secretary of KPK’s Home and Tribal Affairs Department, as saying that the terrorists are surrounded in the Mir Ali sub division of Miramshah in North Waziristan and that the military can eliminate them quiet easily if given a go ahead by the government. Ramping up tensions, domestic defense analyst Zaid Hamid has claimed that the Indian intelligence agency RAW (Research & Analysis Wing) in Afghanistan, might arm the TTP with chemical weapons which could be used against the local population of FATA, thus implicating the Pakistan Army in using the banned chemical agents against its own population. According to Hamid, the terrorists of Free Syrian Army used chemical weapons against the Syrian people and then blamed the Syrian Army and Bashar-ul-Asad regime for using them. Such a scenario in which chemical weapons are actually used on Pakistani citizens by the terrorists and then used as a ploy to arraign Pakistan security forces would be provocation of the highest level. Hussain Amir Hamza is a lecturer of International Politics and a former Research Fellow of South Asian Strategic Stability Institute, SASSI, based at London. As soon as the news broke every reporter along with their crew made a beleine for Benazir Bhutto International Airport. There they tried to send the latest breaking news’ about this tragedy. The approach road to the crash site which is a single track with trees on both sides witnessed the twitters’ rushing there. They parked their cars on the road leading up to the site without a thought that they were blocking the only road that could allow rescue teams to reach the crash site. This just shows the crass psyche of this great nation. Get to a crash site twitter the news to all your friends and just hang around to see rescue operations taking place without lifting the fingers from the keypads of their cell phones.